Aquamarine is in fact a variety of beryl, popular with jewelers for its attractive light blue and green tones. It is a slow forming igneous rock. 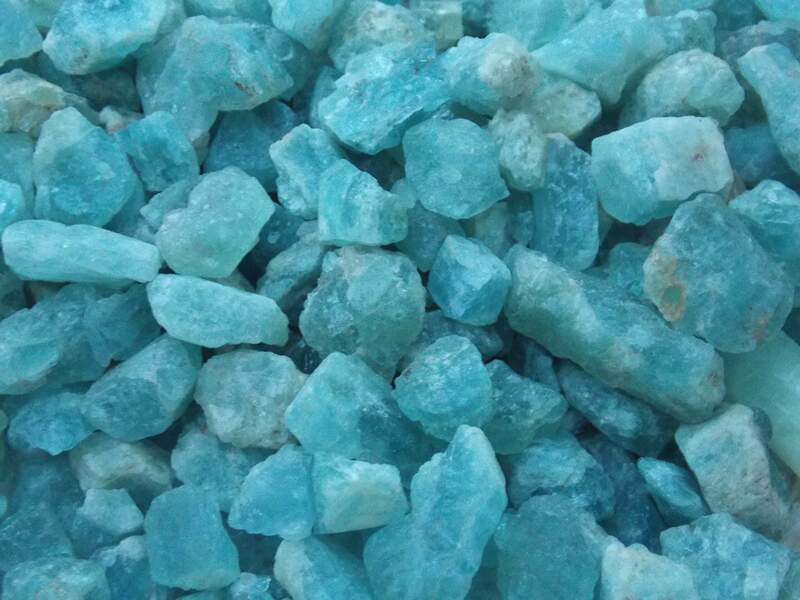 Pale blue or turquoise it can range from colourless to deep sea blue to shoreline green, the main sources are Brazil and Pakistan. Used for safe journeys especially at sea and to protect from harm. It can encourage optimism and unique skills, it helps to find inspiration and enables the imagination to flow. Leading one to practical outcomes.